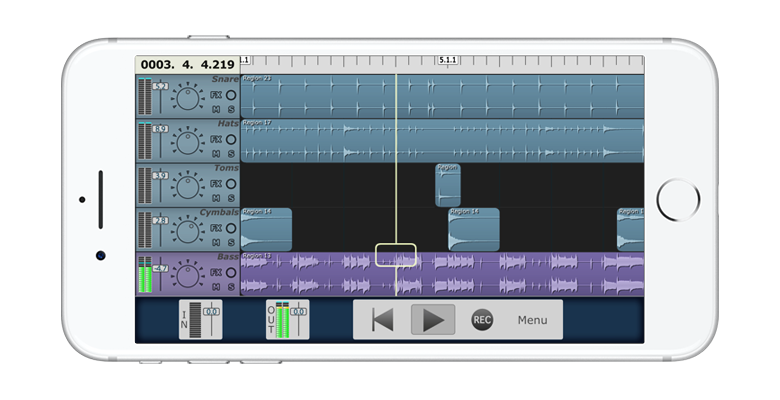 MultiTrack DAW is a powerful audio recorder and audio editor for the iPhone, iPod touch, and iPad. It provides up to 24 stereo tracks of better than CD quality audio, and the ability to playback all of those tracks, while recording up to 16 tracks simultaneously. MultiTrack also provides a suite of editing tools at your fingertips. 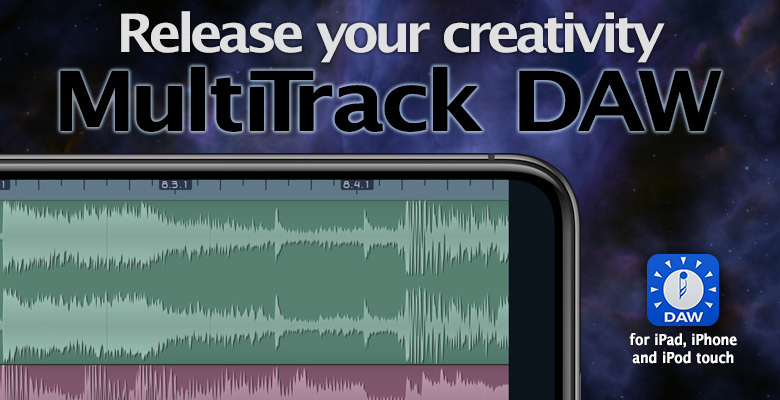 Previously only available to professionals with deep pockets or lots of studio space, MultiTrack DAW goes way beyond what you thought was possible in a portable recording application. Use the Wi-Fi interface to easily transfer individual tracks or final mixes to and from your computer. Or use iTunes File Sharing for mixdowns and to import audio. Also available is 'Open in' and Copy/Paste from other apps. Zoom into a waveform, to really see what's happening in a sound. The waveform rendering uses background processes, so never slows down the UI. 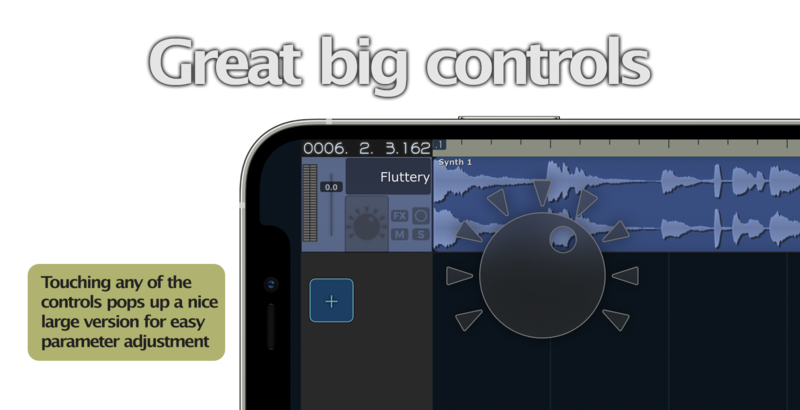 Forget those other over-priced, over-complex, resource hungry daw's on the app store. The power and simplicity of MultiTrack DAW will help keep you in the creative zone. 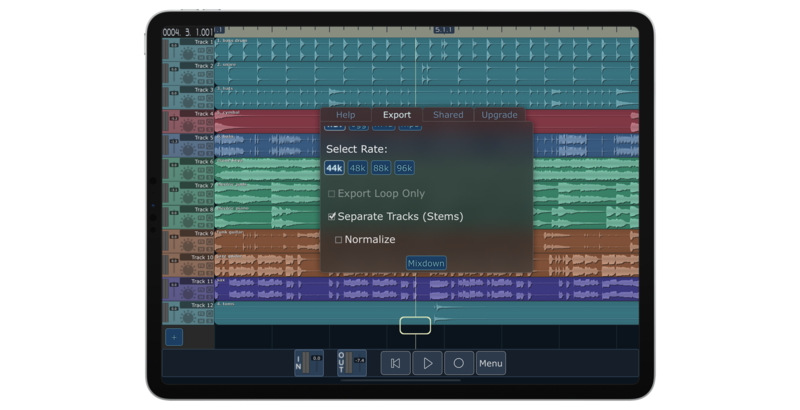 April 13, 2017 MultiTrack DAW 4.3.3 is now available on the App Store. Supports Audiobus 3 and a lot of new features. May 23, 2017 More microphones added to the compatible Microphones and Interfaces page. Loop recording - with continuous overwriting, then undo. Ruler - shows where you are in the song, displays Bars/Beats or Seconds.